Ask Google or your history teacher who the first person to travel around the world was, and chances are, you’ll get results saying that the honor goes to a Portuguese explorer named Ferdinand Magellan. The story goes that he was given a fleet of ships to sail around the world to find spices which, at the time, were just as valuable as oil is today. Three years later, in 1522, only one of the four ships that sailed returned, carrying only a fraction of the initial crew, spices, and the stories that would go down in history. However, based on records and what had happened during that expedition, Magellan can’t be given the title of the first man around the world when he did not even make it through the entire journey. And while the surviving crew who made it back to Spain can say that they did travel around the world, the world record already occurred the moment Magellan set foot on the pacific islands. Spices at the time were highly valuable in the European (and to that extent, the rest of the world’s) economy because it could flavor and preserve food. Back in a time where they didn’t have refrigerators or artificial preservatives, food was always going bad, and spices that could prolong food’s lifespan became almost as valuable as gold itself. Spices, unfortunately, could not be produced in Europe’s climate, and had to be imported from Asian countries. Before the Suez Canal was completed in 1869, however, expeditions from Spain to Asia meant going the long way around: from Spain, the ship would head southeast until it reached the southern tip of South Africa before going back up, passing Madagascar, and towards the Asian country of their destination. This was because people believed that the world was flat. If the Spaniards sailed west, they would supposedly reach the edge of the earth and fall off. However, scholars claimed evidence that the world was indeed round. And when Columbus discovered the New World in 1492, it only strengthened the claim that there was more out there than people expected. By the time Magellan thought of becoming the first seaman to travel to the Spice Islands in Asia by heading west, he was already a skilled navigator, having travelled and survived multiple Portuguese trips to India. However, the King of Portugal refused Magellan’s petition to offer him the ships, crew, and other resources he would need to make the journey. So, in 1517, Magellan renounced his citizenship and became a Spaniard. Eventually, with the help of his father-in-law, Magellan met King Charles I, who granted Magellan what he petitioned for in exchange for the promise that it would bring Spain riches and glory. In 1519, Magellan set sail with four ships and a crew of 270 men. By March 1521, Magellan’s crew had reached Guam. Shortly after, they discovered the Philippines’ Cebu Island, where he tried to convert them to Christianity. Several historical accounts vary, but by the end of April 1521, Magellan was killed in battle after he was shot with a poison arrow. After the battle, the surviving crew (led by Juan Sebastian Elcano) found that there were too few surviving crew members to sail many ships, and so they destroyed and burned the remaining ships and loaded all the crew and supplies onto the Victoria. Only 18 men would ever return to see Spain again. They were regarded as the first people to successfully navigate around the globe. However, based on the records of each of the people onboard the ships, that record may have been given to another person while they were still in Asia. Many historians believe that none of the 18 Spaniards were the first people to circle the globe. Rather, it may most likely be Magellan’s slave, a man called Enrique of Malacca.Also known as “Awang,” Enrique’s life is unknown prior to 1511. According to Magellan’s final will, during the Capture of Malacca in 1511 by the Portuguese, Magellan bought the 14-year old as a slave and brought him back to Europe. Magellan decided to bring Enrique along in his expedition around the world to serve as an interpreter when they reached the Spice Islands. Accounts from Elcano, historian Antonio Pigafetta, and other notable people who interacted with Magellan in Spain or survived the expedition can attest that Enrique was there during the expedition, though called various names such as Henrique. Upon arrival in Cebu, Enrique was roughly 2,500 kilometers (around 1,600 miles) away from Malacca. Before his death, Magellan provided in his will that Enrique would be freed after he died. However, the ships’ masters refused to free him, so he eventually escaped supposedly with the intention of returning to Malacca. 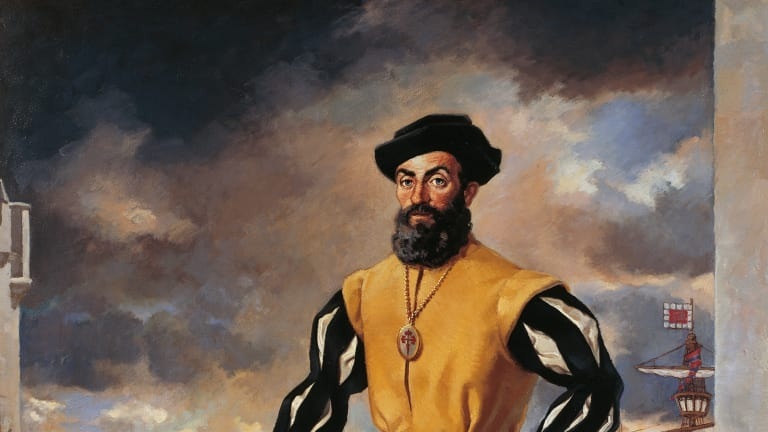 If Magellan’s assumptions were correct and he was indeed from Malacca, Indonesia, then Enrique was less than three thousand kilometers from becoming the first man to travel around the world. However, according to historian Antonio Pigafetta, it’s possible he wasn’t from Malacca. The First Man around the World? Enrique’s nationality is unclear. Pigafetta claims that Enrique was from Sumatra, an island from the neighboring country of Indonesia around 300 kilometers away. That area around Southeast Asia – comprising of Malaysia, Indonesia, Singapore, and the Philippines – all shared the same common language of Malay. 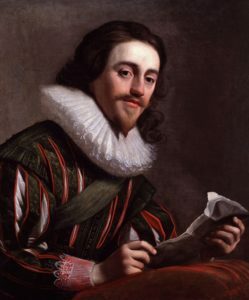 Some historians entertain the possibility that Enrique was from the Philippines as well, since he understood the local language even if it slightly varied from the Malay spoken in Malaysia. And, even if he was indeed from Malacca and he tried to travel back, given the modes of transportation available, it was possible for him to reach Malacca over a year before the Spaniards returned to Spain. The Spaniards left Cebu on May 1, 1521, the same day Enrique escaped. It took the Spaniards 15 months to sail back. However, given the closeness of the islands, it was possible for Enrique to take a boat back to Malaysia, which may take him two months at most. Unfortunately, after Enrique’s escape, there isn’t any document or evidence that says whether or not Enrique found his way home. 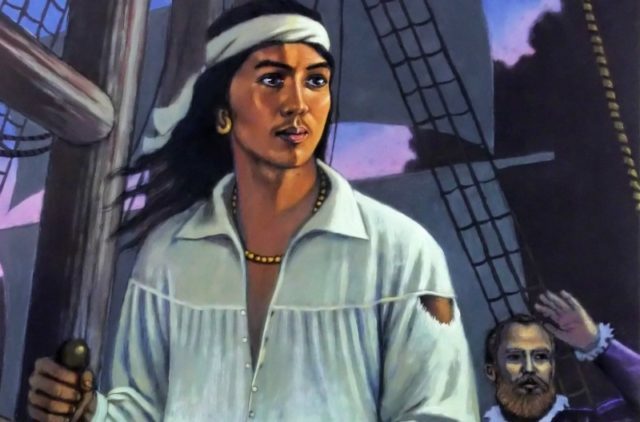 His life was wholly unknown after Magellan’s death and his escape, and whether or not he did survive his escape and find his home is left to the imagination. If he did make it, though, that would mean that the title for the first person around the world would go to him, not the Spaniards who, despite their 15-month delay, had the documents to back up their right for the title.